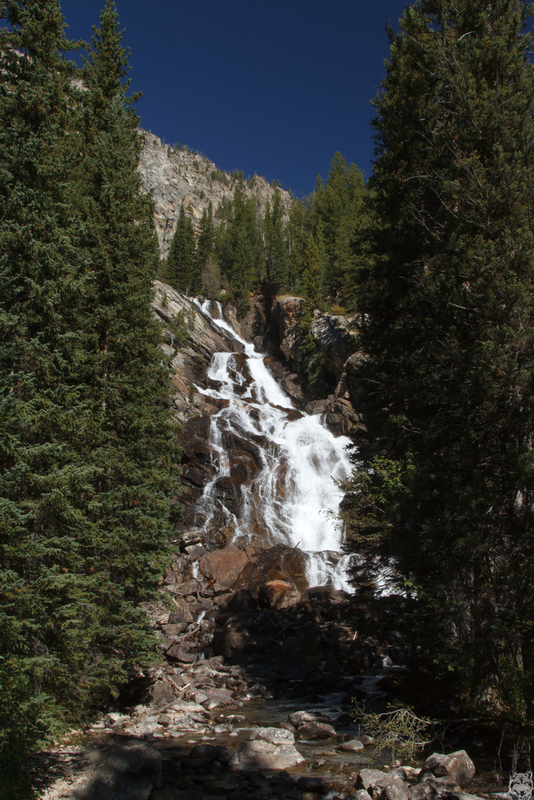 Yellowstone is great, but there is more in the area to see. Grand Teton National Park, for example. So we checked out in the morning, left the Yellowstone through South Entrance and took the scenic John D. Rockefeller Jr. Memorial Parkway (what a name) to Colter Bay at Jackson Lake. A short hike rewarded us with a great panorama of the mountain range West of the lake. And angry squirrels. Some more driving, Teton Park Road through Grand Tetion National Park, a small detour along Jenny Lake Road, then Moose-Wilson Road to Teton Village. Which is a rather narrow road, mostly paved, except for the last two miles where it becomes a dirt road. Fortunately we had a car with a 4WD, but I wouldn't want to driver there after rain. When we arrived at the hostel, pardon, The Hostel at Teton Village, it was way too early to check in, so we drove to Jackson, WY, had an excellent burger and a great milk shake at Mac Phail's. And since we had to stock up on groceries we did just that. Back at the Village, a rather bland and overpriced luxery ski resort, we checked in to the hostel, which is a stark contrast to the rest of the Village: reasonably priced, yet well-maintained, and cosy. We really liked it a lot. Jenny Lake. Beautiful. 15 km hiking up to Hidden Falls and around the lake. 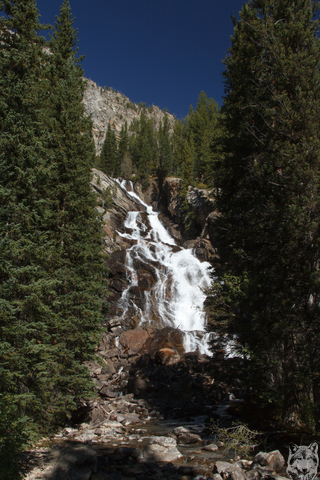 Hidden Falls is a calm, nice place despite a surprisingly large number of hikers. And friendly squirrels, for a change. The North shore of the lake burned down not too long ago, but vegatation was recovering already and it smelled like cinnamon. Unfortunately, my foot started to hurt again near the end of the trail, so I'm glad that we didn't also take the String Lake Trail. We planned for some smaller trails to Phelps Lake, but didn't find a parking space near the trail heads or any information where to park at all. We suspect that the real start is at the LSR Presever Road, but that would've added 6 km to the round trip. So back to the hostel via pothole road.